Just as we suspected, the FDA is coming after supplements once again. Recently we told you about a statement made by Commissioner Scott Gottlieb (who has since resigned his post) concerning the FDA’s regulatory approach to dietary supplements. The statement was short on details but gave us cause for concern. Now it appears as if those fears were warranted: the FDA is attempting to create a mandatory list of all supplement products in the US. Such a list could be used to target certain supplements and remove them from store shelves, and we must oppose it. Last year, the FDA announced the approval of Endari, a drug for sickle cell disease. Endari is an oral powder comprised of L-glutamine, an important amino acid currently available as a supplement. The drug company, Emmaus Medical, Inc., filed an investigational new drug (IND) application—demonstrating their investigation of L-glutamine as a drug. If a drug company begins investigating a nutrient for use in a drug before a supplement company files an NDI notification on that nutrient, the company can ask the FDA to have supplement version removed from the market, leaving consumers with no other option than the drug. Currently, a 120-pill bottle of L-glutamine can be purchased for less than $10; a year’s worth of Endari will reportedly cost consumers more than $40,000. CBD oil faces a similar threat. FDA to Ban More Supplements? On September 12, the FDA’s advisory committee on compounded medicine—medicine made for individual patients at specialized pharmacies—will meet to discuss five ingredients: alpha lipoic acid, CoQ10, creatine monohydrate, pyridoxal 5 phosphate (P5P), and quercetin dihydrate. If the agency doesn’t hear from patients and concerned citizens, we may lose access to individualized preparations of these important dietary ingredients. The Pharmacy Compounding Advisory Committee (PCAC) advises the FDA in writing new rules regarding what supplements and drugs can be made individually for patients with specific needs by compounding pharmacies. The main motivation behind the FDA’s attacks on compounded medicine is to protect the pharmaceutical industry from competition. With no other choice, patients who rely on compounded medicine would have to buy Big Pharma’s drugs. We can’t let them whittle away the ingredients allowed to be compounded. This “death by a thousand cuts” could end access for us to compounding pharmacies altogether. Are Vitamins and Supplements Really Useless? A recent meta-analysis—a review of over 100 different randomized controlled trials—found that multivitamins, vitamin D, calcium, and vitamin C showed no benefits in the prevention of cardiovascular disease, heart attack, stroke, or premature death but did find benefits for B-vitamins in preventing stroke. Despite glaring issues with the analysis, and positive findings regarding the benefits of supplements notwithstanding (not only in this meta-analysis but in a number of others), the media is replete with headlines such as “Yet Another Study Says Vitamin Supplements Are Worthless.” This reporting evidences the media’s penchant to twist the facts to fit a particular narrative about supplements—one which benefits drug companies that spend billions on advertising each year. 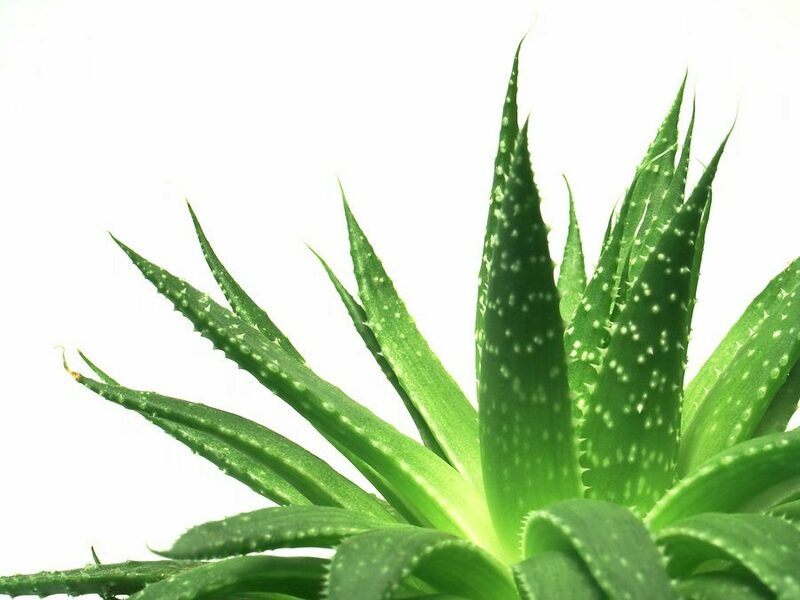 The drug industry, along with the biased media and federal agencies they exert influence over, is undermining cheap, safe, and effective natural medicine in the hope that they can sell us more of their synthetic, ineffective, expensive drugs. We cannot let them succeed. 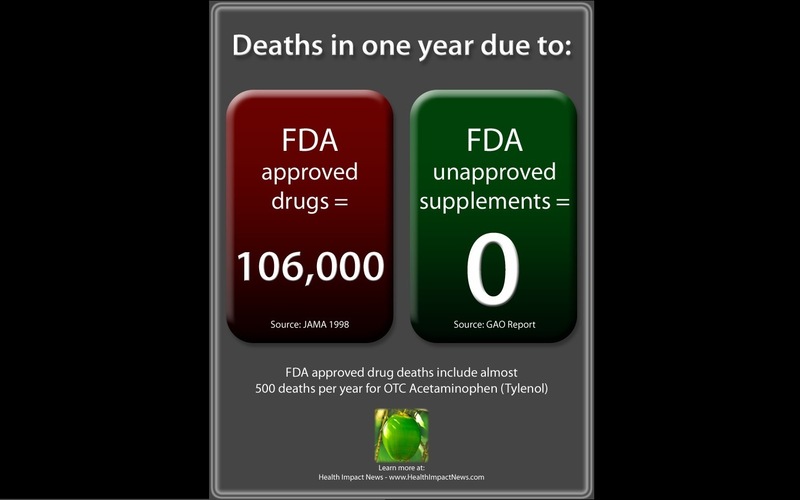 FDA’s Seeks to Ban Supplements – Sees Supplement Sales as Threat to Pharmaceutical Drugs? Last year, we told you about the FDA’s massive attack on supplements that came in the form of a guidance document. That guidance is meant to provide clarity to supplement companies regarding “new supplements”—referred to as new dietary ingredients, or NDIs. The FDA’s proposed NDI notification process remains one of the largest threats to the supplement industry ever. Why Does the FDA Want to Ban this Supplement that has Been Around for Decades? Vinpocetine, a natural nootropic (nōəˈträpik), is an active ingredient in several brain boosting supplement formulas. It is also sold as an inexpensive supplement by itself. Nootropics are neurologically active memory and cognitive enhancers, promoting well being and learning potential. It is the sole ingredient of an Eastern European medicine, used since 1978 for recovering stroke victims and other neurological issues called Cavinton. Its use has spread throughout Asia and other parts of Europe. 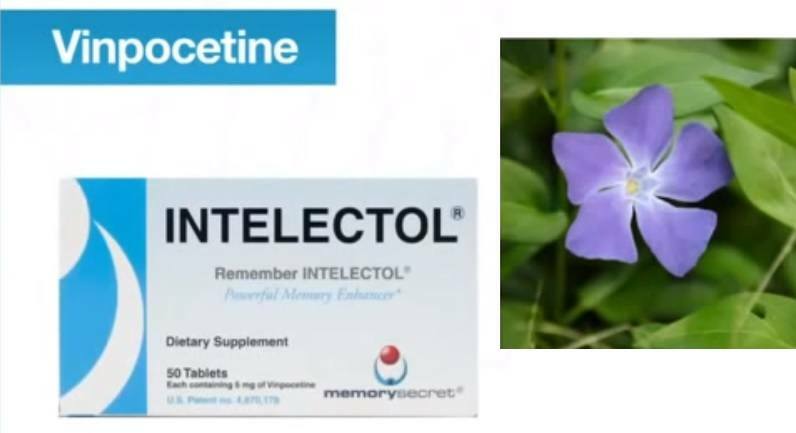 Both Cavinton and Vinpocetine, extracted from the periwinkle plant, have been tested, studied, and tried internationally for several neurological issues with mostly highly positive results since 1978. Along the way, other benefits were discovered related to heart health, vision, hearing, and more. Now there is a current controversy involving the FDA and a Missouri Senator seeking to restrict public access to this supplement which has a long history of use outside the U.S.
Last week, a paper in the Journal of Medical Toxicology reported that calls to poison control centers concerning dietary supplements were up 50% over the period 2005-2012, with most of those calls relating to small children. The mainstream media pounced, questioning whether parents should risk storing supplements at home. As with previous attacks against supplements, however, an analysis of the underlying data shows that supplements are overwhelmingly safe products. Nearly 90% of all consumer calls to America’s poison control centers are about drugs and other man-made chemicals. Children are far more likely to die from swallowing batteries than vitamins. Children are far more likely to die from swallowing batteries than vitamins. In 2015 alone, 42 children under the age of 5 died after ingesting analgesics, batteries, air fresheners and other chemical products – whereas not a single child died from accidentally swallowing vitamins or dietary supplements. In 2015, a similar media outcry ignited when the US Department of Health and Human Services asserted that supplements send 23,000 people a year to hospital emergency rooms. On closer inspection, though, ANH found that 20% of the cases were the result of unsupervised children swallowing pills, and 40% involved adults over the age of 65 who choked on their pills. In other incidents, heart palpitations resulted from ingesting too many diet pills, taking sexual enhancement pills, and/or downing energy drinks. The current brouhaha is likewise slanting and “cherry picking” the data. It’s probably no coincidence that the recent outcry is citing data from 2005-2012, when consumers’ use of dietary supplements vastly increased. Greater consumer use of any product is bound to produce more consumer questions and concerns, whether or not any actual cases of poisoning result. While FDA-approved drugs kill hundreds of thousands of patients a year – even when properly prescribed – the mainstream media doesn’t bat an eye. Supplements have killed zero people, yet there is a consistent media drumbeat for more regulation and government oversight over dietary supplements. What is never mentioned is that supplements are already regulated, and that treating them like drugs will raise their prices to drug like levels, or more likely eliminate them entirely from stores because producers cannot afford to spend so much on non-patentable products. According to the most recent data, there are zero deaths from supplements. But the FDA’s tightening of supplement regulations is for our safety, right? Action Alert! Every year, the American Association of Poison Control Center’s National Poison Data System (NPDS) releases an annual report that tracks deaths and serious adverse events as a result of poisoning from a wide variety of substances, including drugs and supplements. NPDS is “the only comprehensive, near real-time, poisoning surveillance database in the United States.” According to the most recent report, ZERO Americans died from taking any supplement in 2013. That includes anything from substances that must be taken with care and medical guidance, such as kava kava or yohimbe, or ayurvedic medicines (which must be sourced with care to be sure they are free of heavy metals), to standard vitamins and amino acids, to the gentlest homeopathic remedies. Of course, to most of us in the natural health world this is unsurprising. Dietary supplements have an exemplary track record of safety. In fact, our partners at ANH International calculated that, according to the European Union’s own data, we are more likely to be struck and killed by lightning than die from taking a supplement. The long-awaited revision of FDA guidance rules for new supplements is finally here. It is very bad news. Highest-level Action Alert! What we are dealing with here is whether the supplement industry is allowed to innovate and create new supplements. The FDA, working as usual on behalf of the drug industry, says no. We need your help to stop this right now. It will take a huge effort on all of our parts and we need to start immediately. More supplements face the axe at the next meeting of the FDA’s Pharmacy Compounding Advisory Committee. If recent history is any indication, the outlook is not good—unless we push back. Done! Please check your email inbox or spam folder for our confirmation email. Are you already a subscriber?